Each December Sandals Resorts celebrates their relationship with travel agents. 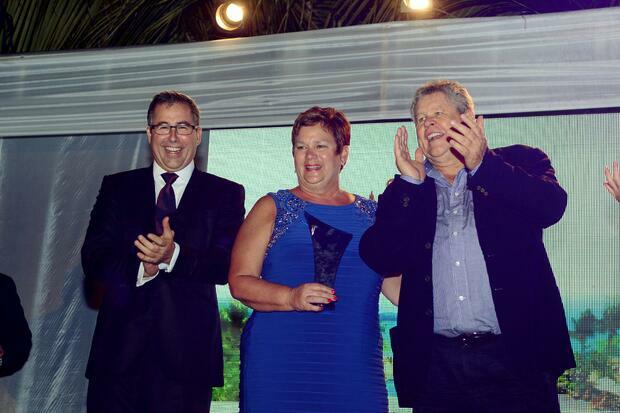 The 14th annual Sandals Travel Agency Recognition (STAR) awards was held on December 4th at Sandals Whitehouse in Jamaica. A total of 450 travel agents, guests, VIPs and media from North America, U.K., Canada and Latin America traveled to Jamaica’s south coat where Sandals recognized this long standing relationship and yearly achievements. The Sand Lady from Royal Travel was honored to be recognized in multiple categories this year. Most notably, The Sand Lady was named to the list of Worldwide Top Ten Travel Agencies. 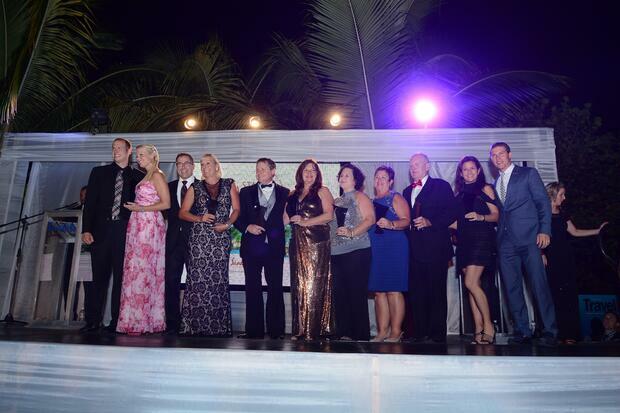 Our agency manager, Robbie Phillips received the Outstanding Sales Achievement award for destination weddings. The Chairman of Sandals Resorts also presented Robbie with the Chairman’s Award, which is given each year to one agent in the US who consistently embodies and represents the Sandals brand. Several agents from The Sand Lady team were named to the 2016 Chairman’s Royal Club. This is an elite group of top Sandals agents who have exhibited sincere commitment to and knowledge of the Sandals Resorts brand. Sandals notes: This elite status provides agents the opportunity to offer the best service possible to consumers in their area, and travelers who book with a CRC agent will have access to the most prominent deals and up-to-date information on the resort properties. Robbie Phillips joins the Chairman’s Royal Club for the 5th consecutive year. Kali Hanson celebrates her 3rd consecutive year as a CRC agent. And Ruth Ann Hutchison was also invited to join the 2016 Chairman’s Royal Club. The Sand Lady team believes that vacations are memories in the making. You don’t get a second chance to celebrate the perfect honeymoon or family reunion. We are committed to excellence in knowledge of the Sandals and Beaches resorts and excellence in customer service. Our goal is for you to return from your vacation and tell everyone you know why they need to call The Sand Lady when they’re ready to plan their next vacation.